SlideShark is a very good presentation app we want to bring to your attention in this short review. As a teacher, you will find several powerful features in SlideShark to use in your own instructional presentations in class. SlideShark enables you to present and share your powerPoint presentations and PDFs from your iOS devices (iPad, iPhone or iPod). 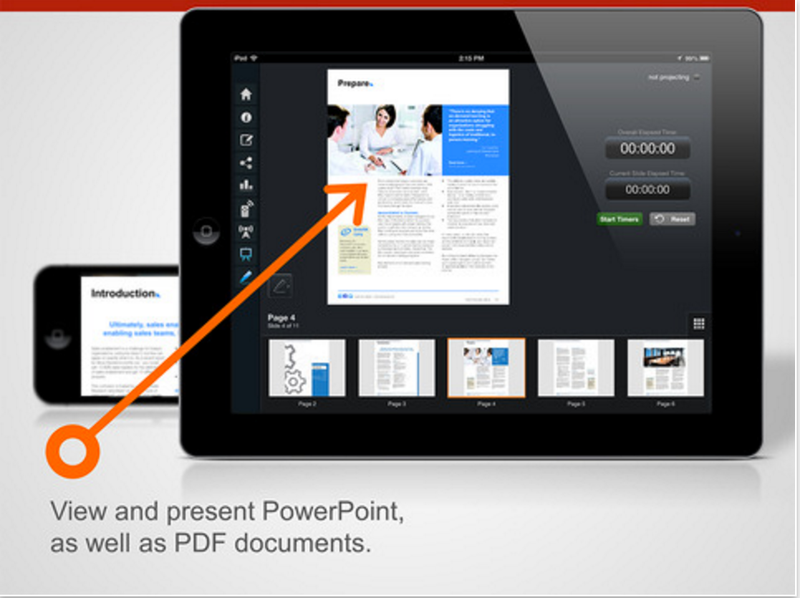 The process is so simple: open an account with SlideShark and upload to it your PowerPoint files (ppt, pptx, pps, ppsx) then use your iOS device to broadcast and share your presentations. You can also easily import presentations stored in cloud storage providers such as OneDrive, Dropbox, or Box, and use them on SlideShark. One great way to use SlideShark in class is by connecting it to ‘a projector or TV using VGA/HDMI adaptor (all iPads, iPhone 4 & later) or AirPlay via Apple TV (iPad 2 and 3, iPhone 4 & later)’. You can easily mark up the slides with your fingers and use your device e.g. iPhone as a remote laser pointer. Additionally, SlideShark lets you access important stats about your presentations such as knowing who have viewed them, how long, when and which slides. 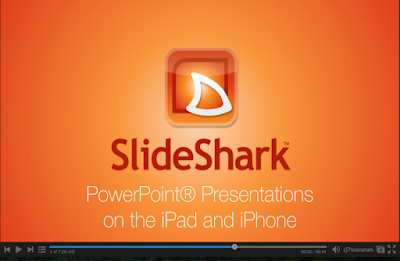 Other important features provided by SlideShark include: “broadcast presentations over the web to remote or in-person attendees via unique URL from your iOS device; set slides to auto-advance and “loop” for trade shows ; Use Presenter Mode to see slide notes, timers, animation counter & more (iPad 2 & later); play vids embedded in PowerPoint presentations (.wmv or .avi format, PPT 2010) and many more.